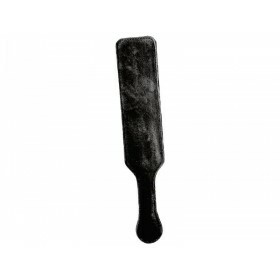 • High quality intense spanking tool. • Make a lasting impression. 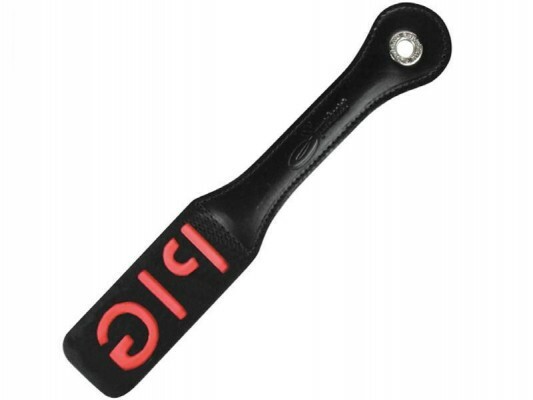 This is a quality leather paddle with satisfyingly stiff wide handle and a flexible end that will a leave a red imprint "PIG" on your partners arse. Spank me! 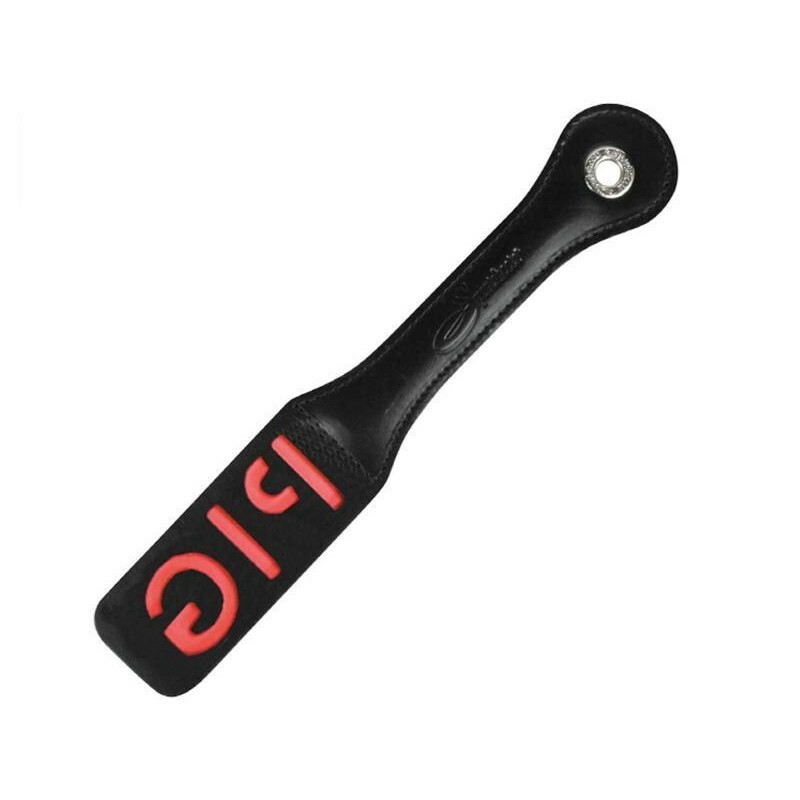 The ‘PIG’ Impression paddle is made of two split layers of top-quality leather and stitching. This spanker is flexible enough to give a reassuringly firm whack! 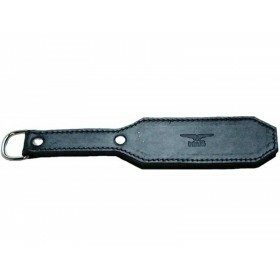 This paddle features a steel ring and wrist strap mean you can carry or hang it anywhere.